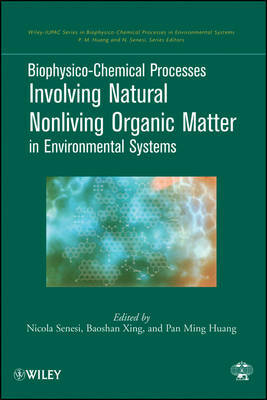 Buy Biophysical Chemistry of Fractal Structures and Processes in Environmental Systems by Nicola Senesi from Australia's Online Independent Bookstore, Boomerang Books. Nicola Senesi is Professor of Soil Chemistry and Head of the Department of Agroforestal and Environmental Biology and Chemistry of the University of Bari, Italy, where he has been actively involved in research and teaching since 1969. He has taught courses in Soil Chemistry, Soil Science, Agricultural Chemistry, Wood Chemistry and technology, Organic Chemistry, Wood Chemistry and Technology, Organic Chemistry, and General and Inorganic Chemistry. He has been a visiting professor and/or scientist for various periods at universities in Canada, USA, Somalia, Indonesia, Switzerland, Argentina, Brasil, Venezuela and Colombia. Dr. Senesi is a Fellow of the American Society of Agronomy (ASA) since 1995 and the Soil Science Society of America (SSSA) since 1996, and received the Gold Medal of the Polish Soil Science Society in 1994. He was conferred with a Doctorate Honoris Causa by the Institute National Polytechnique de Toulouse (INPT), France, in 2000. Dr. Senesi is currently President of Division VI: Chemistry and the Environment and Chair of the Subcommittee on Biophysics-Chemical Processes in Environmental Systems of IUPAC, President of MESAEP, and Vice-President of the Italian Soil Science Society (SISS), and was President of the International Humic Substances Society (IHSS) and Chairman of Division II-Soil Properties and Processes of the International Union of Soil Science (IUSS). 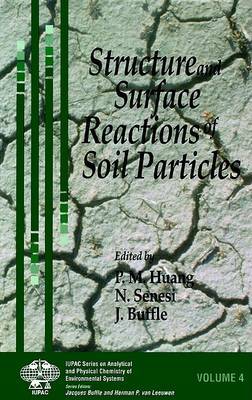 He is currently an Associate Editor of Geoderma, Soil Science, Pedosphere, Pure and Applied Chemistry and CLEAN-Soil, Air, Water. Dr. Senesi's research is focused on fundamental and applied aspects of the chemistry and biochemistry of organic matter from soils and other systems and materials, and its interactions with soil-applied organic chemicals and trace metals, by the use of advanced physico-chemical techniques and biochemical tools. 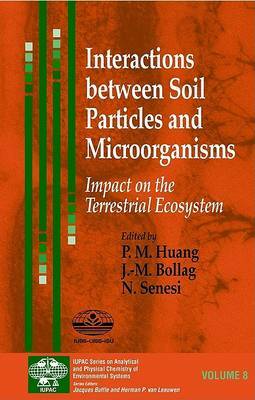 Specific topics of research include the abiotic interactions of herbicides and endocrine disruptors with humic substances, the complexation mechanism between trace metals of agricultural and environmental importance and natural and artificial humic materials, the physiological and antimutagenic effects of humic substances on plants, and the implications of recycling organic wastes on soil fertility and crop production. He is also pioneering the application of fractal geometry to the study of molecular conformation and aggregation processes of natural soil organic colloids. The results of his research are documented in about 300 scientific and technical papers and about 60 book chapters and invited reviews. Dr. Senesi has also co-edited 12 books and Proceedings Volumes. Kevin J. Wilkinson received a PhD in Environmental chemistry from the National Water Research Institute of the University of Quebec (INRS-Eau) in 1993. Following his PhD, he joined the research group of Professor Jacques Baffle at the University of Geneva where he began to examine some of the important biophysical properties of environmental biopolymers and colloids. Following the establishment of his own research group in 1994, he focused his research onto relating the structure of environmental colloids and aggregates to their function in addition to initiating a research programme designed to develop a fundamental understanding of the chemical mechanisms of contaminant bioavailability. In 2005, he was appointed Associate Professor of Chemistry at the University of Montreal. His teaching includes (bio) analytical and environmental chemistry. His current research interest include: (i) improving our understanding of the role(s) of microorganisms on the biophysicochemistry of trace elements and colloids; (ii) development and optimisation of novel analytical techniques for quantifying bioavailability and colloidal/aggregate structure; (iii) characterising environmental biopo9lymers; and (iv) determining the role of diffusion in complex environmental media (biofilms, flocs, sediments). He is currently member of the editorial board of Environmental Chemistry and titular member of the IUPAC Chemistry and Environment Division. 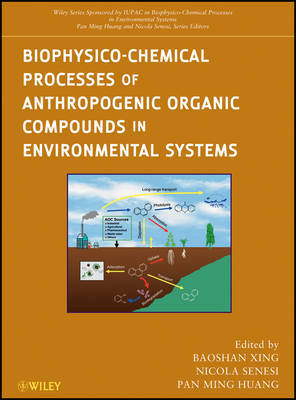 He also was editor for the previous volume in the IUPAC series on Analytical and Physical Chemistry of Environmental Systems (vol. 10): Environmental Colloids and Particles: Behaviour, Separation and Characterisation.